With D12’s The Devil’s Night Mixtape scheduled for release today (October 30), D12 members Swifty McVay, Kuniva, and Bizarre spoke with HotNewHipHop about the original Devil’s Night and the upcoming follow-up to the 2001 album. According to Swifty, the original Devil’s Night album was inspired by Devil’s Night in Detroit, which takes place on October 30. He explained that it was a way of representing for their city. 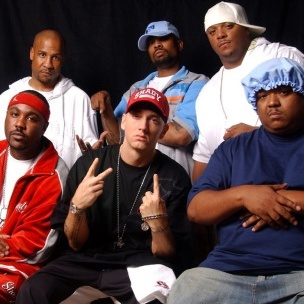 While speaking on favorites from Devil’s Night, Kuniva revealed that Eminem’s The Eminem Show record, “Cleanin’ Out My Closet” was a song that was originally intended for placement on Devils Night. According to Kuniva, Bizarre was on the song first, but was talking “crazy” on the record and was encouraged to tone it down. Despite receiving the approval of Dr. Dre, Kuniva says Bizarre ultimately passed on the record, and Eminem picked it up from there. Later in the interview, Bizarre offered some insight into the idea behind The Devil’s Night Mixtape. He also revealed that the project will feature guest appearances from G-Unit, Crooked I, Slum Village, and more.